Mathri is another crunchy fried salted snack which reminds again me of hostel days.This used to be a snack once weekly and did I tell you,I love savory than sweet ?? 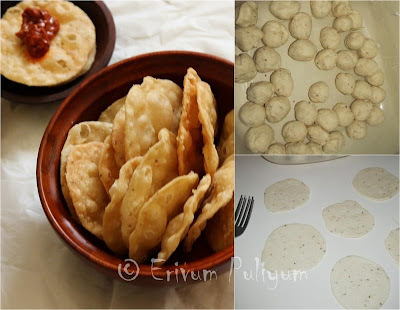 Yes,you guessed it right and so I used to love this snack very much.This snack shouldn't puff up like poori neither it should brown very fast otherwise it may not remain crunchy and tend to be soft.My kids just love this,so I make it quite often.Enjoy this snack with a tsp of pickle on each or just like that with a cup of tea !!! Mix the flour,semolina,salt,ajwain & oil.Add the water lttle by little as required to knead the dough till firm.Keep covered & leave aside for 15-20 minutes. Heat oil in a wok /kadai. Remove the mathris using a slotted spoon and drain on a paper towel and serve/store in air tight containers. Serve with pickles or just like that with tea !!!! * Don't over heat the oil or else you may cook the outside of mathris faster and the inside may turn soft. * Keep the divided balls covered or else they will dry up soon. * Always start to fry the mathris when you are ready with atleast prepared discs so that there is no much lag between rolling and frying. Yummy snack. Perfect with tea. 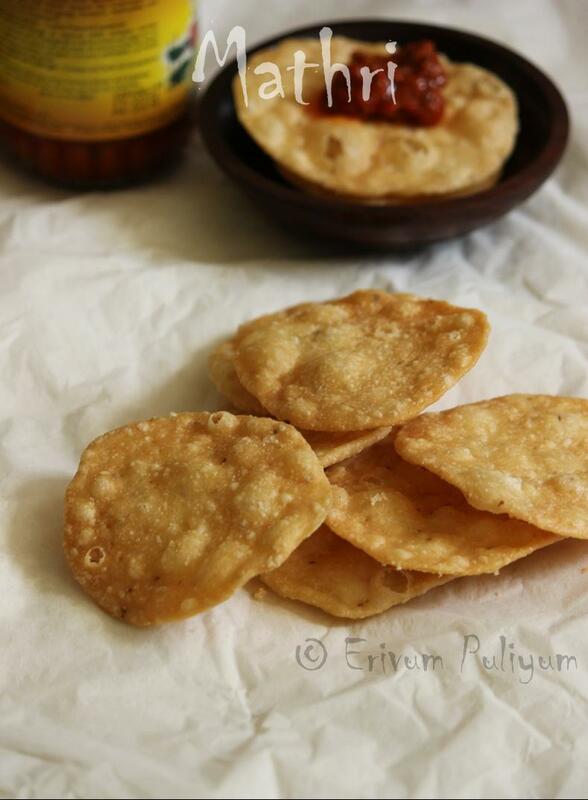 Crunchy and yummy mathri...perfect tea time snack. 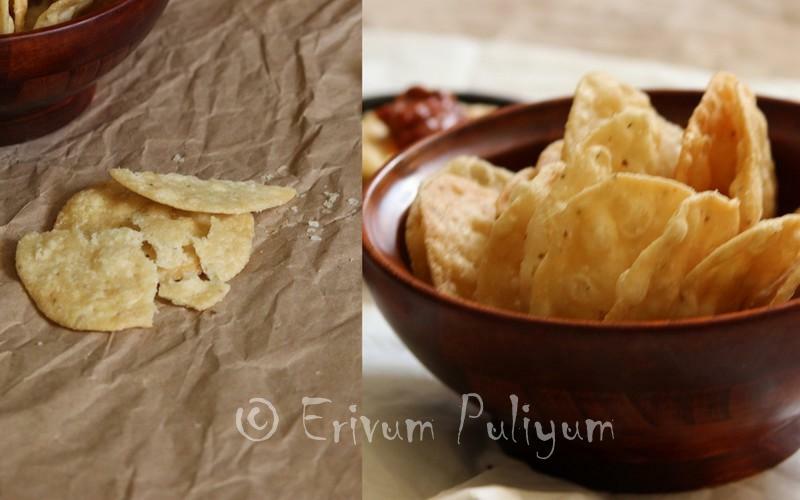 I prefer savoury too...Terrific crackers ! OMG, such perfect looking crunchy mathris. My MIL makes very good ones too. Wow! I never herd of these before . they look amazing! all time fav snack...looks nice and perfectly made..
love these crispy snacks..great one, Julie. Indeed savory like Matri reminds everyone of their hostel days, memorable. Your Matri looks just perfect, crunchy, crumbly and delightfully fresh. Love the idea of having pickle with it. 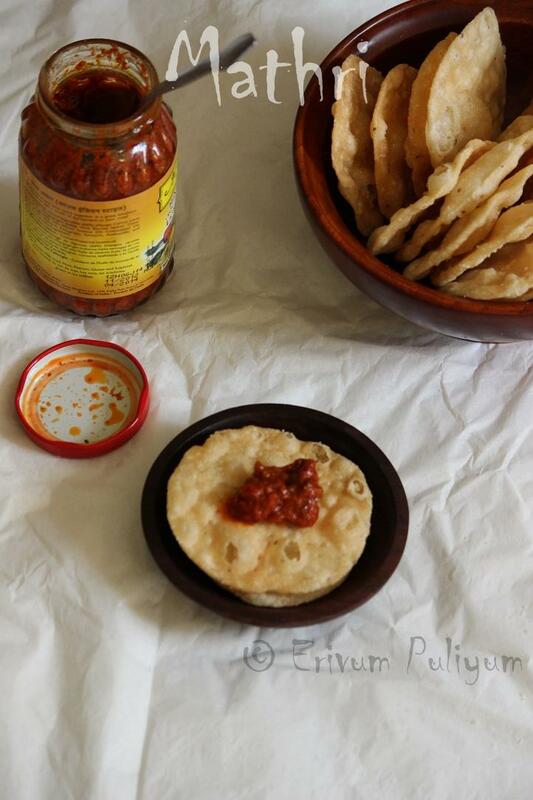 you made it perfectly julie.. nice presentation..
perfect tea time snack,pickle and mathiri interesting combo. Crispy yummy snack..the name itself looks fascinating Julie. Anything that we enjoy during college days are worth recreating.Looks like thatai. Loved this mathri anytime. Yummy and absolutely mouthmelting snack. I love mathri specially with tea. crunchy perfect snack. Looks good- this cracker recipe is a keeper. Thanks Julie. lovely delicious one.... pass it. 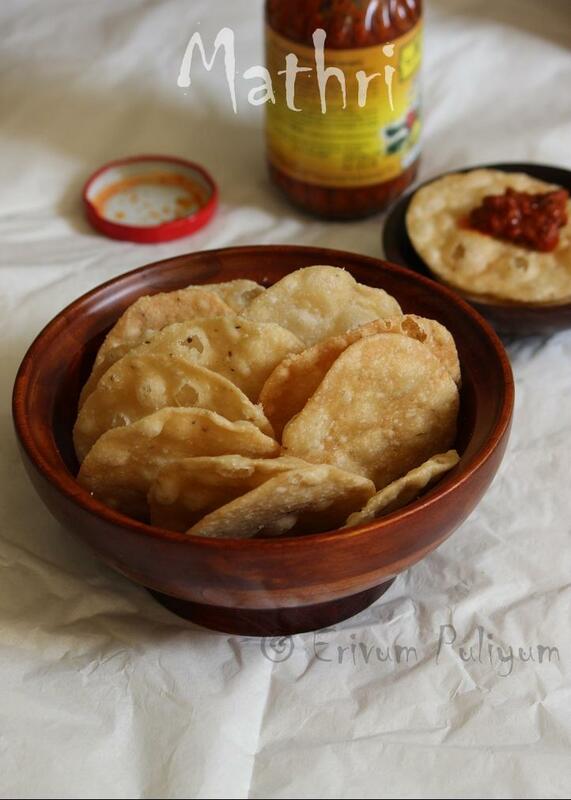 Love to have those super crispy mathris rite now,irresistible and seriously tempting. Looks so tempting with the pickle..
perfectly made mathri...looks so crips n tempting..lovely presentation dear! Such a nice snack, beautifully presented too. Very inviting. Mathri looks delicious and crisp Julie. Looks so crunchy and yummy! Mathri is my go to snack during festivals!